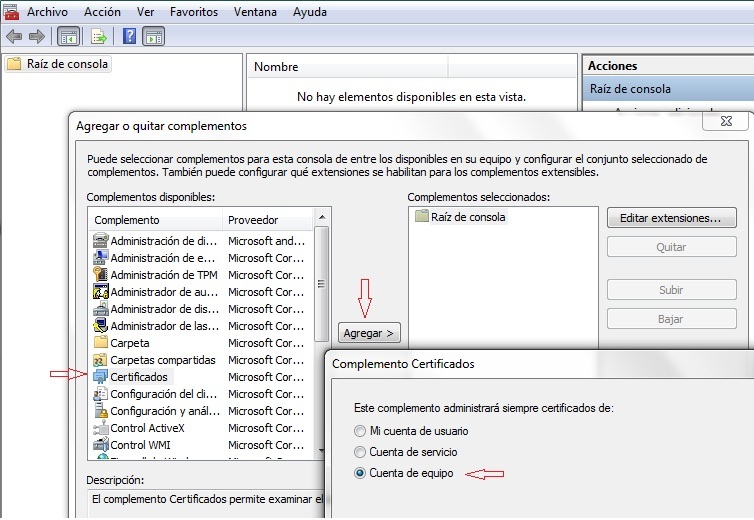 I am facing a strange problem in developing an installation that should in one of the steps install a certificate. The problem has to do with granting Certificate’s private key access for an account (e.g. IIS_IUSRS) on Windows Server 2008 R2. The private keys are stored in the location C:\Users\All Users\Microsoft\Crypto\RSA\MachineKeys. “System.Security.Cryptography.CryptographicException: Keyset does not exist”. This error occurs only on Windows Server 2008 R2, while for Windows Server 2003 everything is working correctly. My question is, why the private key gets deleted and which process does this? I have not yet found a solution to the described problem, and no response has been posted on the other forums where I asked (forums.asp.net, social.msdn.microsoft.com). So, can anyone suggest any other resources or advice for further troubleshooting this issue? This was happening to me too - my setup script would add the cert and grant access to the PK file fine, and the app would work. Then later, after I had closed the PowerShell editor I re-launched the app and it failed with a keyset not found. "Granted read permission on private key to web user"
Is very clear that is a security issue “System.Security.”. and you do not have permissions to do the installation., you need to set the permissions on the private key to allow that service account access it. Open->Certificates->Personal->Certificates->Right click Certificate-> All Tasks->Manage Private Keys->Add Network Service. Also check this entry to see how works this feature in Windows Server 2008., then please after you try it, come back and say if you could solve the issue with what I have told you. http://referencesource.microsoft.com/#System/security/system/security/cryptography/x509/x509certificate2collection.cs,256 shows where the PersistKeySet flag is tested. The PersistKeySet flag is documented at https://msdn.microsoft.com/en-us/library/system.security.cryptography.x509certificates.x509keystorageflags%28v=vs.110%29.aspx with the phrase "The key associated with a PFX file is persisted when importing a certificate." My techno-babble to English translator tells me this means "You must include the PersistKeySet flag if you call the X509Certificate2 constructor and the certificate might already be installed on the machine." This probably applies to the .Import calls too. It's likely the powershell Import-PfxCertificate cmdlet already does this. But if you are doing what the accepted answer shows or what the OP asked, you need to include the special key. We used a variation of ejegg's script in our solution. We have a process that runs every 3 minutes to check that all configured certs are installed and this seems to work fine now. The symptom we saw in powershell is the HasPrivateKey property is true but the PrivateKey value itself is null. And the key file for the cert in C:\ProgramData\Microsoft\Crypto\RSA\MachineKeys was deleted. The FindPrivateKey utility at https://msdn.microsoft.com/en-us/library/aa717039(v=vs.110).aspx helped us watch file get deleted. So happy 4th birthday to the question with this very late response. Not the answer you're looking for? Browse other questions tagged powershell certificate windows-server-2008-r2 private-key or ask your own question. Can we install the Private key (.p12) certificate from Server to Client?